NEW EXTERIOR PAINT and NEW ROOF!!! This absolutely stunning fully furnished OCEAN FRONT estate is exactly the home you have been waiting for! 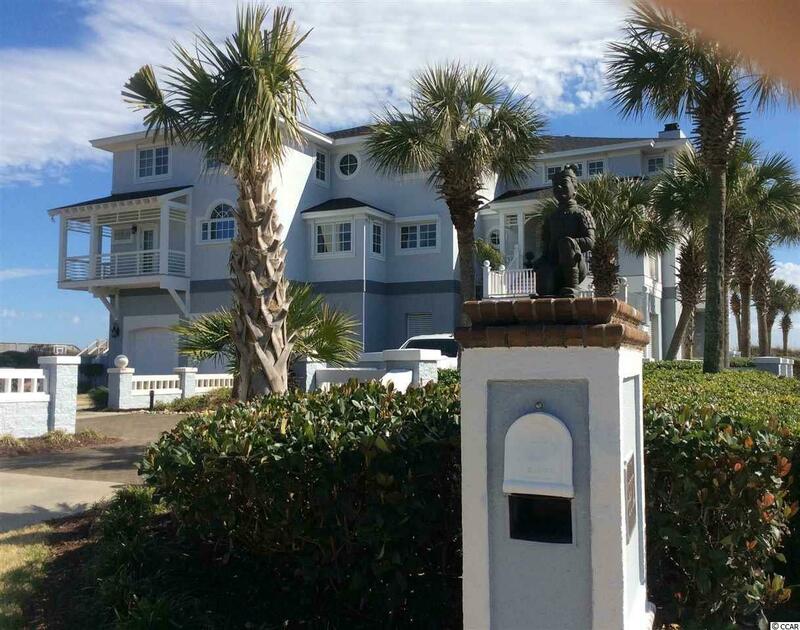 Located in the prestigious Dunes Ocean Front, you are just a short walk or golf cart ride away from the Dunes Club. Pulling up, the care that is given to this home is evident. The beautifully manicured lawn and landscaping guide you up to the front door. 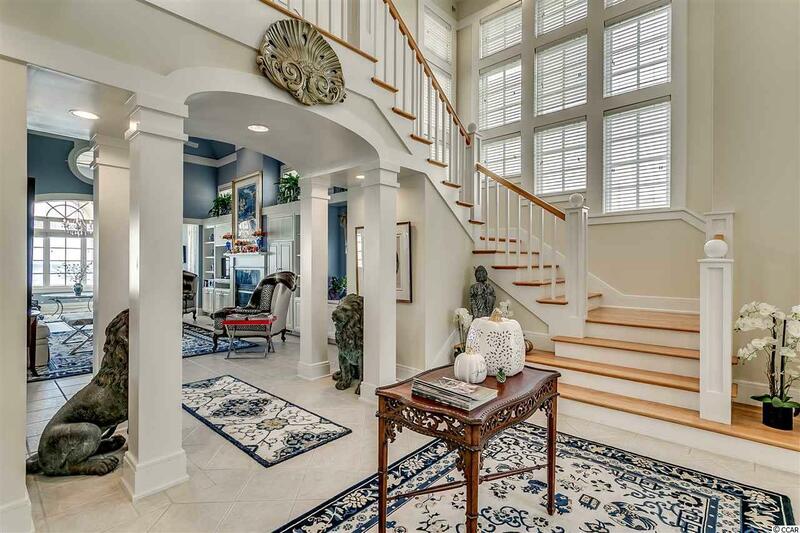 As soon as you walk in to this 6,751 sqft, 7 bedroom/6 bath home, you are greeted by ocean views. 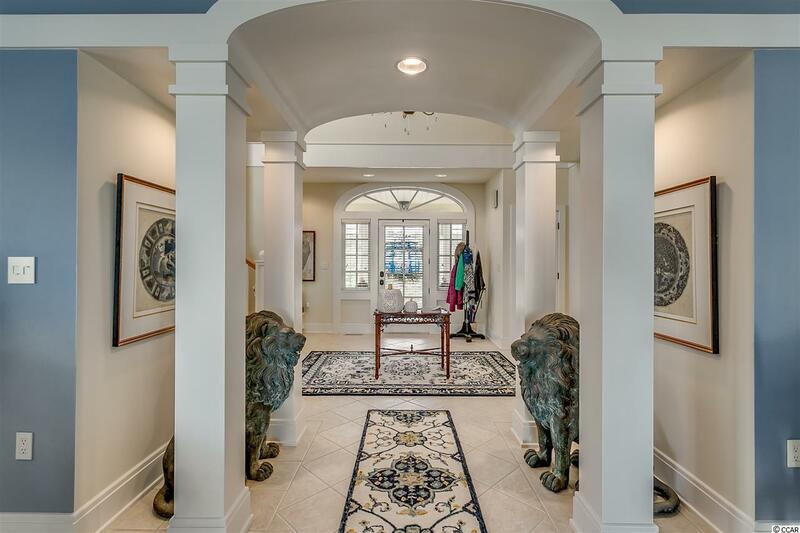 The spacious welcoming foyer draws you in to the great room which boasts a fireplace, built-ins and open concept that is perfect for entertaining. Off the great room, the sitting room and dining room both offer the perfect place for relaxing and enjoying the ocean views. The large kitchen located in the center of the home has plenty of cabinet and counter space. Guests and family can enjoy being together in the kitchen area while cooking, sitting at the breakfast bar, lounging on the couch or dining at the table. The butlers pantry off of the kitchen offers additional storage. Bring the party outside to the 1900 sqft of decks overlooking the beautiful Atlantic Ocean. Back inside, the large master suite is located on the main level and has an on suite bath with shower, tub and private dressing area. The master bedroom also offers an owners study. Next, venture upstairs via the grand staircase, back staircase or elevator. Once upstairs you will find 6 additional bedrooms along with a bonus room. Over 1500 sqft of covered and secured storage areas give you plenty of space for all of your toys. Since purchasing the property, the owners have done extensive improvements including new Bellawood oak hardwoods throughout, new kitchen applainces and faucet, new exterior lighting, 7 new toilets, 4 new HVAC units, new interior paint, new palmtrees along with landscape stones and plants, new chandeliers, new designer furniture, new window treatments, installation of new water cut off valves in the basement, new garbage disposal, new bath hardware, new deck lights and more! As mentioned, this home is fully furnished (except the rugs) and ready for you to pack your bags and come enjoy all that Myrtle Beach has to offer. Centrally located, you are close to dining, attractions and shopping and a quick drive to the Myrtle Beach International Airport. 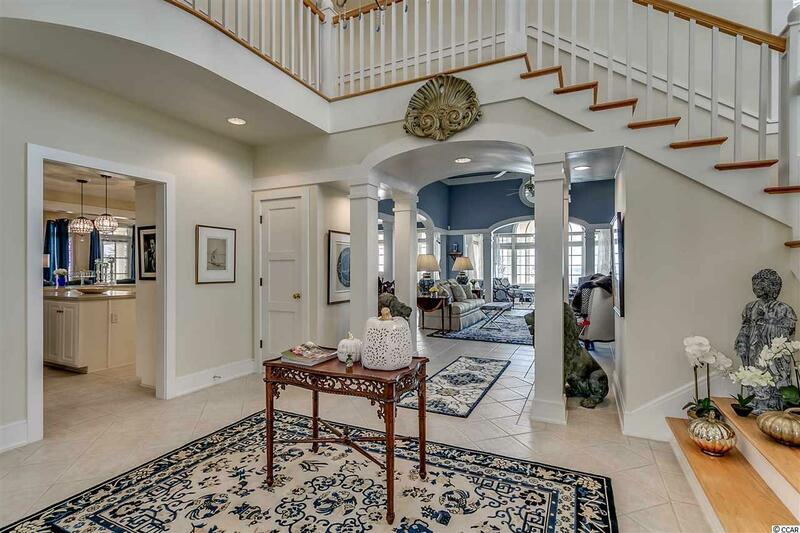 This home is unquestionably a must see, schedule your private showing today!